Double bedroom, en-suite bathroom with bath and shower and toilet, Free Wi-Fi, TV with DSTV coffee station with rusks for early morning tea or coffee. 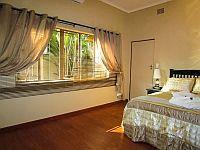 Double bedroom, en-suite bathroom with shower and toilet, Free Wi-Fi, TV with DSTV, coffee station with rusks for early morning tea or coffee. 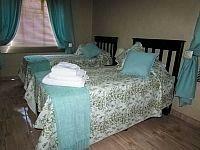 Double bed in bedroom, bathroom with bath, shower and a separate toilet. 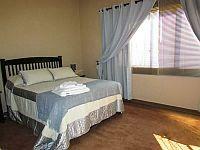 Free Wi-Fi, TV with DSTV, coffee station with rusks for early morning tea or coffee. 2 Single beds in bedroom, en-suite bathroom with a shower and a toilet. 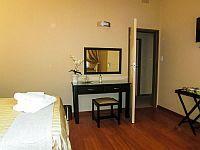 Free Wi-Fi, TV with DSTV, coffee station with rusks for early morning tea or coffee. If cancelling 0 day before arrival, forfeit 100% of the deposit. If cancelling 14 days before arrival, forfeit 75% of the deposit. If cancelling 30 days before arrival, forfeit 50% of the deposit.